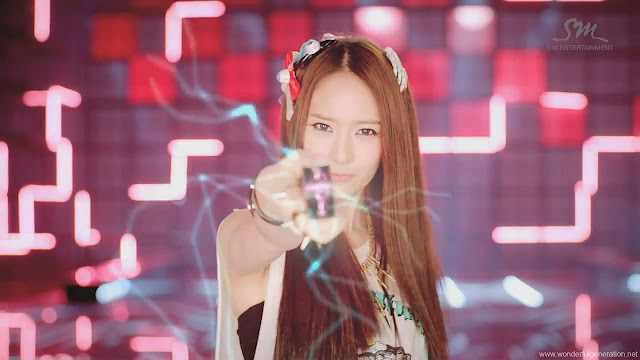 Who else totally digged Krystal‘s look in f(x)‘s lastest music video, Electric Shock? I know I did! 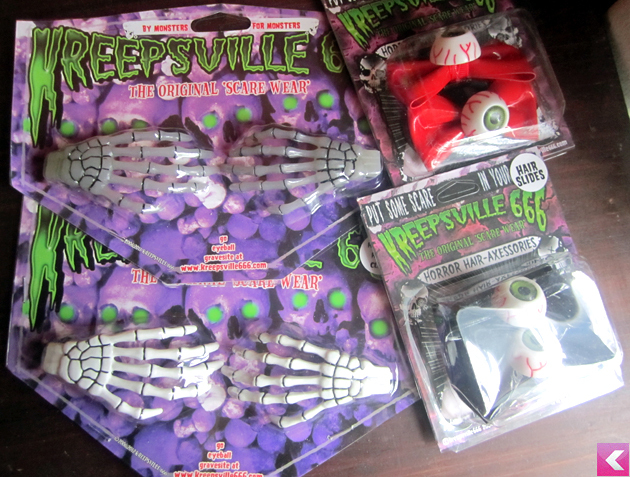 Especially her arrangment of hair accessories from ” the original scare wear” brand Kreepsville 666. I loved it so much that I got my hands on a few of those adorable accessories that she wore. Check it out! Can we first take a moment to appreciate the packaging? 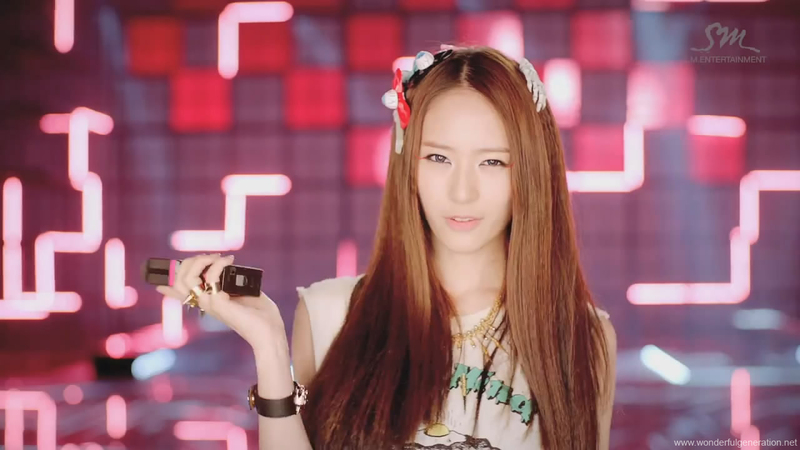 Too cute~! 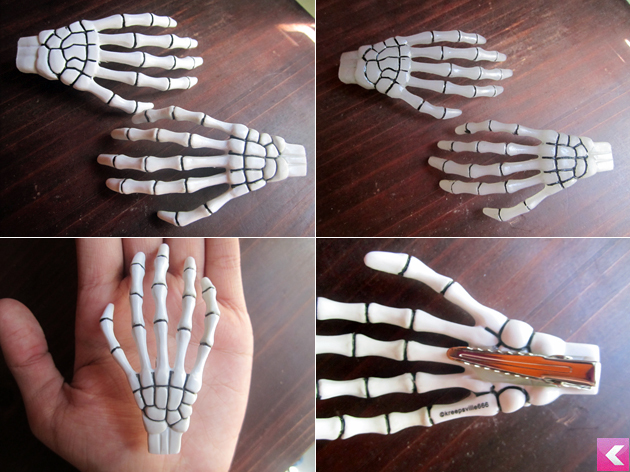 Anywho, I ended up getting the Skeleton hand clips in both Glow in the Dark and White, The Red Eyeball Hair Tie as well as the Black Eyeball Hair slide. If you are bold, I recommend going for Krystal’s daring look and combining them all~ If you are a little more on the shy side (like me), you can totally just rock a pair! Happy Shopping! After almost three years, Kstylish has finally opened up an online shop! For some time now, I’ve wanted to sell pieces from my wardrobe that are taking up space. 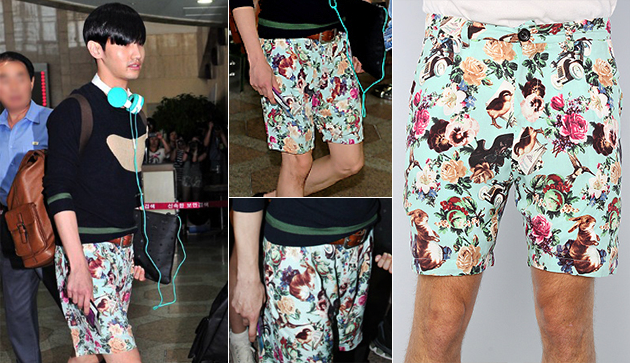 Luckily for you, these items have all been spotted on some of our favorite stars and most of them have never been worn. It get’s better. As a fan, online shopper and student myself, I understand budgets. That’s why I am selling the pieces for less than half the item is worth plus free shipping. Why so low? I really the closet space, I’m never going to wear the item and now that I’m entering my second semester of college I could use the money. Since this is my first time doing such a thing, there will be a limit of 5 items at a time (the more items that sell, the more I can restock with new ones) Also, the shop will be only open to United States Residents. Sorry. D: Though if this goes well, I will open the offer to international readers as well. So, check out Kstylish’s shop here at: http://kstylish.bigcartel.com/ and take a look at the first item! Thanks! Be sure to leave a comment with your thoughts!